Did you know that my Patron supporters got this podcast early? Support me on Patron to do the same and get audio versions of other articles. User Experience (“UX” for short) is one of those disciplines in the gaming industry often tied to psychology. And given how it’s interested in understanding and quantifying the experiences of the people who play video games, interact with hardware, and navigate through menus, it’s easy to see how an understanding of attention, perception, cognition, mental heuristics, learning, and memory can help UX researchers do their jobs. In this episode I talk to Celia Hodent, the Director of User Experience at Epic Games and a psychology Ph.D. Hodent and her team help Epic make sure that its customers have the experiences that its game designers envision, and in this podcast she explains how an understanding of psychology, knowledge of research methods, and experience in data management help her do that. She also shares some advice for anyone interested in getting into this line of work. 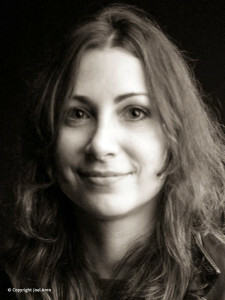 For more of Hodent’s thoughts on psychology and UX, read CeliaHodent.com. Thanks also to Caryn Vainio, who set the stage for what UX is and why it matters. Check out her portfolio and website.